Jumpsuit has velcro fastening, braces attach with velcro. Jumpsuit with attached braces, leg warmers. 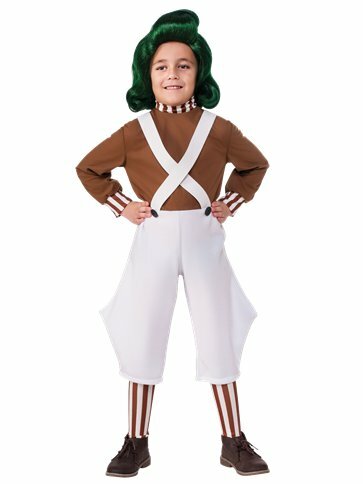 This Officially licensed, two piece Oompa Loompa costume includes a jumpsuit with velcro fastening braces and a pair of stripy legwarmers.